Turbine blade fan design. Intake fuel saver depth : 1.9". 1 SET OF AIR INTAKE FUEL SAVER/TURBONATOR FAN. C.N.C MACHINED ALUMINUM-TITANIUM ALLOY WITH BLUE RUBBER HOLDER. Made by high quality light weight C.N.C machined aluminum-titanium alloy with blue rubber holder. 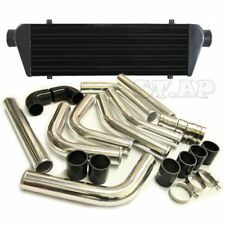 Standard-issue with each kit is a large, front-mount intercooler to help ensure low intake air temperatures for optimal performance. Proper air/fuel ratios are ensured with the included Grams Performance 350cc/min. !! Turbo/SuperCharger Only !! Fast And Free Shipping !! E-Force Stage-1 Street Systems Supercharger; 900 TVS; 190RW HP; 186RW Torque; Incl. Supercharger/Hoses/Manifold/Drive Pulleys/Belt/All Nec. Parts; w/Tuner;. Fit For All Vehicles With Intake Size 2.5" ~ 3.0" (65mm~75mm). Direct bolt-on to the intake pipe, no major modification needed. Saving of 28% on fuel consumption. Our office hours are. Intake fuel saver depth : 1.9". 1 SET OF AIR INTAKE FUEL SAVER/TUBONATOR FAN. C.N.C MACHINED ALUMINUM-TITANIUM ALLOY WITH BLACK RUBBER HOLDER. Made by high quality light weight C.N.C machined aluminum-titanium alloy with black rubber holder. Intake fuel saver depth : 1.9". 1 SET OF AIR INTAKE FUEL SAVER/TURBONATOR FAN. C.N.C MACHINED ALUMINUM-TITANIUM ALLOY WITH BLUE RUBBER HOLDER. Made by high quality light weight C.N.C machined aluminum-titanium alloy with blue rubber holder. 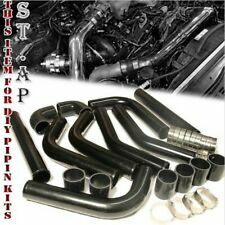 It's the ultimate Intercooler Kit made by High Quality 6061 Aluminum Pipe. Intercooler Pipes. Pipe Thickness: 2/25 in. Pipe Overall Length: 18 in. This Kit Includes The perfect kit for the DIY or professional builder. Blow off Valve RS Type. 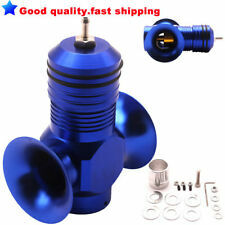 Has the Loud Blow off Valve Sound. Adapter 3". Warranty Claims. Fit For All Vehicles With Intake Size 2.5" ~ 3.0" (65mm~75mm). Maximum fan speed rotation: 55,000 R/Min. Demo / Installation Video. 0.5" Rubber Adaptor Thickness. Application: Universally Fits on Any T3 T25/ T28/ GT25/ GT28/ GT30/ GT32/ GT35/ GT37/ CT26. PRODUCT Turbo Blanket Heat Shield Cover. Heat Shield Blanket Wrap this turbo blanket serves as a great way to enhance the appearance of turbochagers by covering the turbine. Fit For All Vehicles With Intake Size 2.5" ~ 3.0" (65mm~75mm). Maximum fan speed rotation: 55,000 R/Min. Increase the amount and speed of the air flow going into the engine. Demo / Installation Video. Interchange part numbers: K5T46591, BP5W18741, K5T465PO, K5T46591. OE No. : K5T46591. 1999-2001 Mazda Protege DX Sedan 4-Door. 2002-2005 Mazda Miata Base Convertible 2-Door. 1999-2001 Mazda Protege LX Sedan 4-Door. THE REBUILD INCLUDED ONLY IF REMAIN UNTOUCHED! POSSIBILITY IS ALSO - THE ROTORS IS NOT RECOATED! Trending at $20.86eBay determines this price through a machine learned model of the product's sale prices within the last 90 days. Application: For T3 T25 T28 GT25 GT30 GT35. Surfaced with High Quality Silicone Impregnated Fiber Glass Material for Extra Heat, Wearing, and Corrosion Resistance. Cargo transportation. Speed: 35000 rpm. Wind pressure range:0.005KG/CM--0.075KG/CM. ARated power:210W. Maximum power:300W. UNIVERSAL TITANIUM T3 TURBO BLANKET HEAT SHIELD. Made from pulverized volcanic rock then strained into a fiber material, Titanium Turbo Shields can withstand direct heat up to 1800 F and 2500 F radiant heat. 22mm Aluminum Alloy Motorcycle Brake Clutch Levers Protection For Kawasaki Honda. Luxury PU Leather 5 Seats Full Set Front Rear Auto Car Seat Covers All Seasons. Black 6D Luxury PU Leather Auto Car Seat Cover Front Rear Universal All Seasons. Ball & Spring Closed Loop Design. Materials: Aluminum. CNC Machined Aluminum Body. Instruction Included: No. Note that the motor power is not more than 300w. We will reply you within 24- 48 hours. Maximum applicable motor capacity: 480W. Model: 40A. Maximum output current: 40A. Driving current: 40A (Max:50A/10S). Phase number: for brushless three phase motor drive. Continuous output current: 30A. Adjustable Aluminum Alloy Lightweight AN Fitting Wrench Tool for AN 3 4 6 8 10 12 (Red). 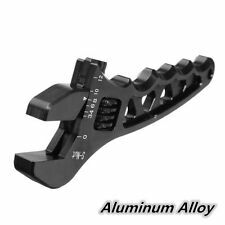 AN3-AN12 Adjustable Aluminum Wrench Fitting Tools Spanner. Made of Aluminum alloy. Easy operations: You can operate very convenient with the wrench. Note that the motor power is not more than 300w. We will reply you within 24- 48 hours. 10Pcs White T10 4014 57-smd 12v LED Bulbs For Car Interior Lights Signal Lights. New Mini OBD2 II ELM327 V2.1 Bluetooth Car Scanner Code Reader Tool For Android.